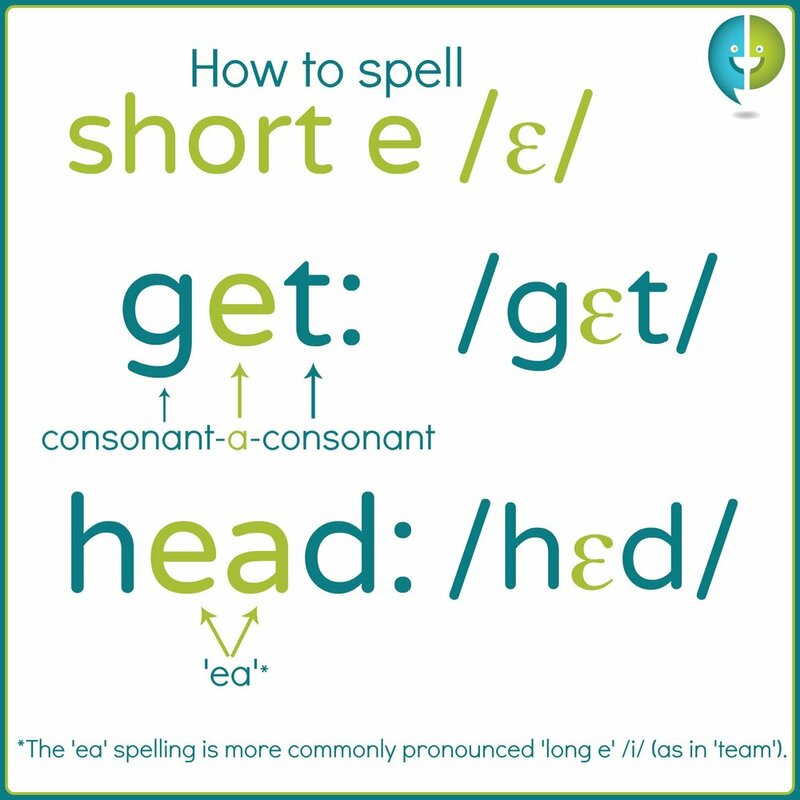 The common short e spellings are the consonant-vowel-consonant patterns ('bed' and 'yes') and the 'ea' spelling ('head' and 'dead'). The words 'said, says, friend, guest,' and 'again' are non-phonetic words pronounced with the short e sound. *The 'ea' spelling is more commonly pronounced 'long e' /i/ (as in 'team').